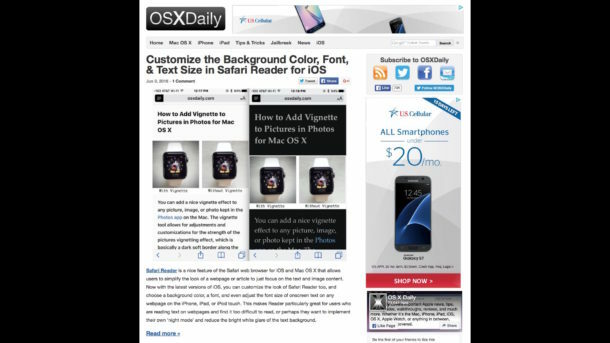 Have you ever wanted to have a web site or web page used as a screen saver on Mac OS X? 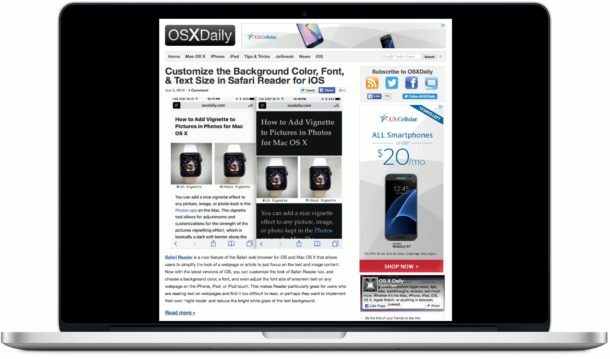 Well you can do exactly that with the help of a free screensaver called WebViewScreenSaver, which allows Mac users to add URLs to serve as the content of a screen saver whenever it’s activated on the Mac. This is handy for a variety of obvious reasons, and it’s quite easy to setup. You can use any URL, site, or web page, and you can even reference a remote list of URLs if desired. You can use multiple sites if you want to cycle through them, or just a single web site if you want to view one particular web page in particular. Once you activate the screen saver, the web page(s) chosen are embedded in webview in the screen saver, surrounded by a black border. 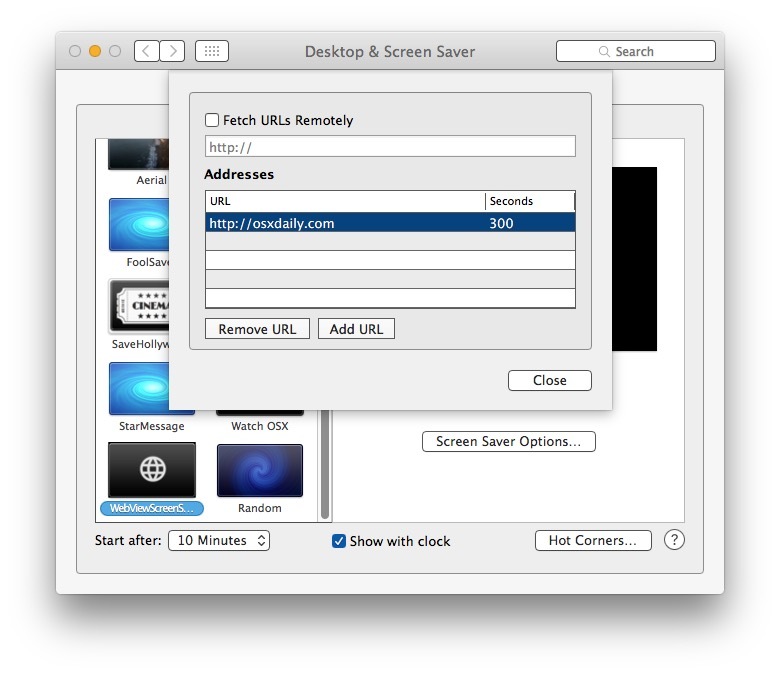 The screensaver works with any website but it’s perhaps most appropriate for the type of sites you visit often, whether thats the magnificent osxdaily.com, a news site, hobbiest forum, some fancy HTML5 animation, or something you create exclusively for the purpose of using as a screen saver. Perfect! Other than the fact that if you’re using this to play background music from YouTube – and do have two screens – you’re gonna hear the music twice. Thanks for this. Now I can view Facebook even when I’m not using my computer! Only google.com can be added ! You can add any website URL to the screen saver, you have to select the URL and hit the Return key as described in the directions.